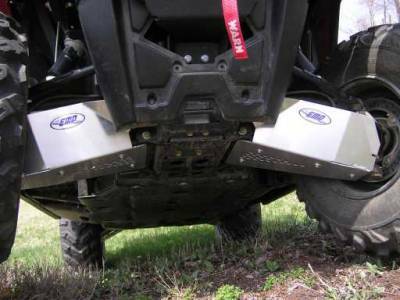 Protects front CV boots from sticks, rocks, and other debris. Made from 1/8" thick 5052 Aircraft grade aluminum. CNC cut and formed to insure a great fit every time. Sold as a set of two - passenger and driver side.